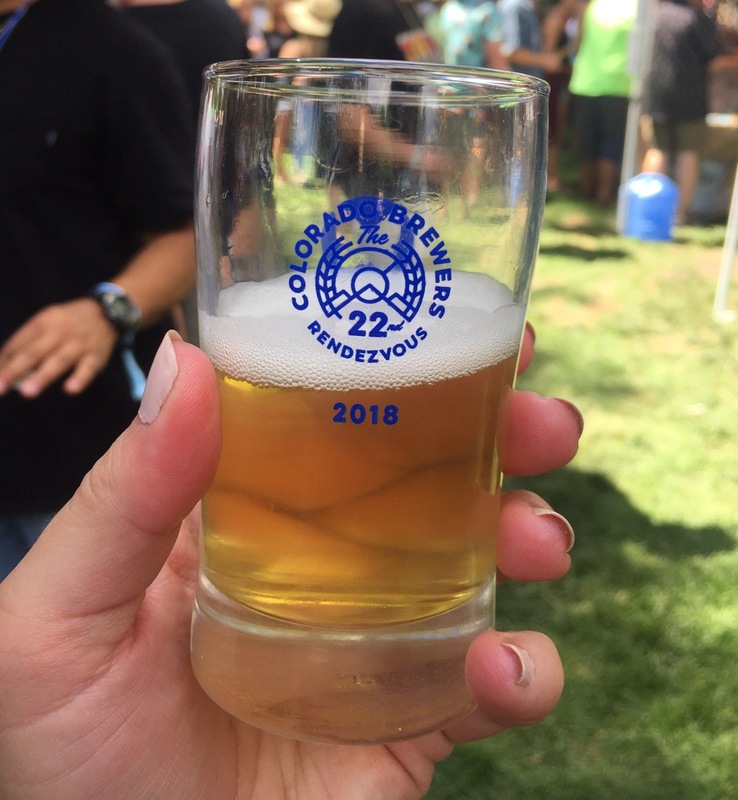 What started as an annual brewers meeting for members of the Colorado Brewers Guild has grown to one of the most popular summer beer festivals, and it shows no sign of slowing down. 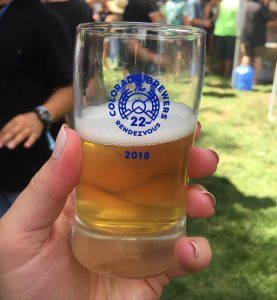 Every second Saturday in July, the Brewer’s Rendezvous is held in the beautiful and quaint town of Salida. Set in Riverside Park, you get to sample beers from 75 different breweries while watching kayakers, tubers, and paddleboarders negotiate the rapids of the Arkansas river. Encouraged to bring lawn chairs or blankets, you can setup a homebase under one of the giant shade-bearing trees, or in front of the amphitheater where bands keep the tunes rolling throughout the festival. And, the numerous food vendors within the park will keep you fed with delicious local favorites such as Gosar Sausages and Mo Burrito. This year saw a lot of brewers bringing out sours, including kettle sours, and Berliner Weisse beers. There were also some more unique offerings, such as the beers brought by McClellan’s Brewing Company out of Fort Collins – they brought a rum barrel aged stout and a barleywine, served on a beer engine. One of the better parts of a beer festival, for me, are the recommendations from strangers, which help me discover standout beers. One such recommendation lead me to try a blackberry sour aged on chardonnay barrels from Gilded Goat Brewing Company – a definite stand out among the numerous sours being poured, and a favorite among my group. It was an approachable sour for those who aren’t huge fans of sours, with fruit-forward notes, and a bit of oakiness from the chardonnay barrel. Other beers that had the crowds buzzing included a piña colada kolsch from Liquid Mechanics Brewing, with one festival-goer describing it as “not as ‘sunscreeny’ as you would expect,” and Deez Nuts from 105 West Brewing – a delightful English Bitter with a strong hazelnut profile, and of course a name that reminds us that beer rarely takes itself too seriously. The festival, now in it’s 22nd year, attracts visitors not only from all over Colorado, but also beer enthusiasts from surrounding states. The festival has become a vacation destination for folks, according to Steve Kurowski, Marketing Director of Colorado Brewers Guild. 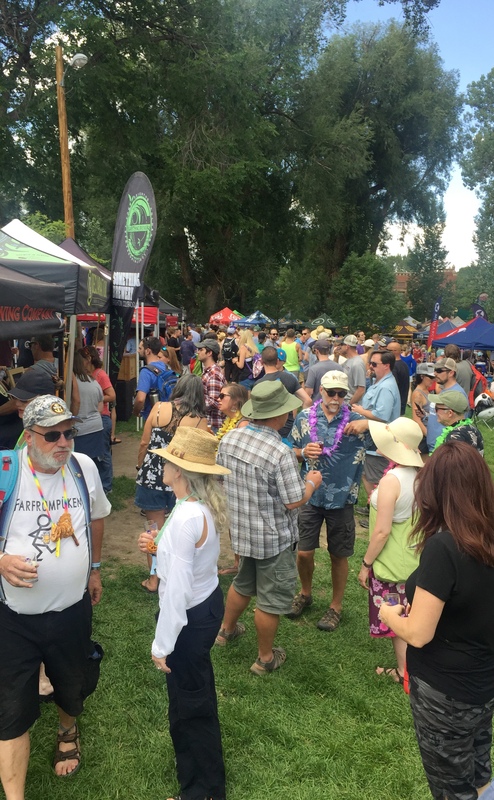 And while he says they have maxed out the park venue with 75 breweries and about 2500 attendees, they have no plans of ever leaving the Salida venue. Instead, they are looking for ways to expand the offerings into an an all-weekend event. For the first time this year, Colorado Brewers Guild offered a new event on Friday, the cleverly named Pre-Vous. For a separate entrance fee, people were invited to sample special offerings from brewers – beers only available at the Pre-Vous – making it a one-time only opportunity to try more unique and experimental beers from brewers. Standing in line to get into Saturday’s event I overheard a festival volunteer raving to another couple about how it was “not an event to be missed” for the next year. Kurowski is excited for the future of the festival and the Colorado Brewers Guild. His hope and goal is, “to make Colorado the state of craft beer,” and “to become a world class destination with world class beers.” Within the shadows of the Collegiate Peaks, the warmth of the Colorado sunshine,the sounds of the Arkansas river, and sips of surprising and pleasing brews it’s simple to see how Colorado craft beer can reach that designation.